Black Legion Classic Punisher Skull Black Cotton Twill Cap | BUDK.com - Knives & Swords At The Lowest Prices! You don't step on Superman's cape, and you don't mess with "The Punisher." 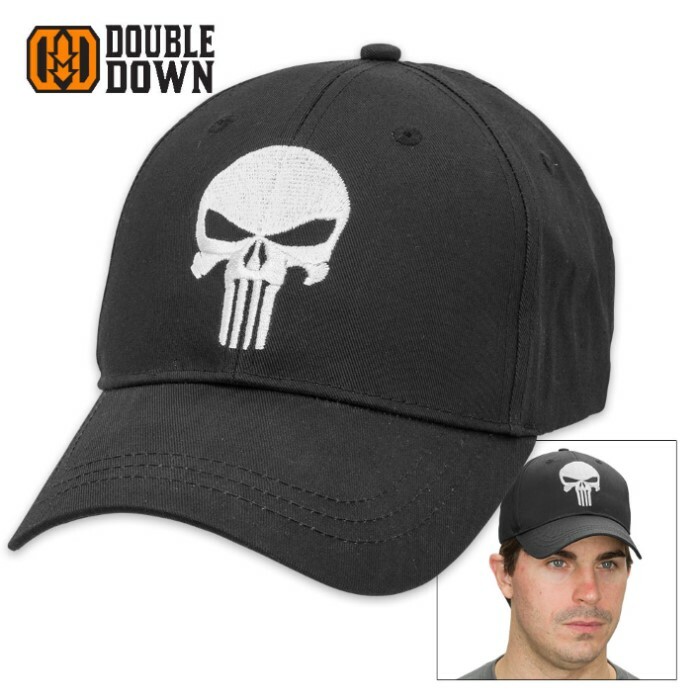 This stylishly bleak cap from Black Legion declares to all who see you wear it, “I’m not one to be trifled with.” The iconic punisher skull glares menacingly from the front, so no matter the expression on your face, the Punisher is always on guard atop your head - his hollow eyes solemn, sinister and unchanging. It's a veritable cautionary statement to any potential foe who would dare cross your path with ill intent. 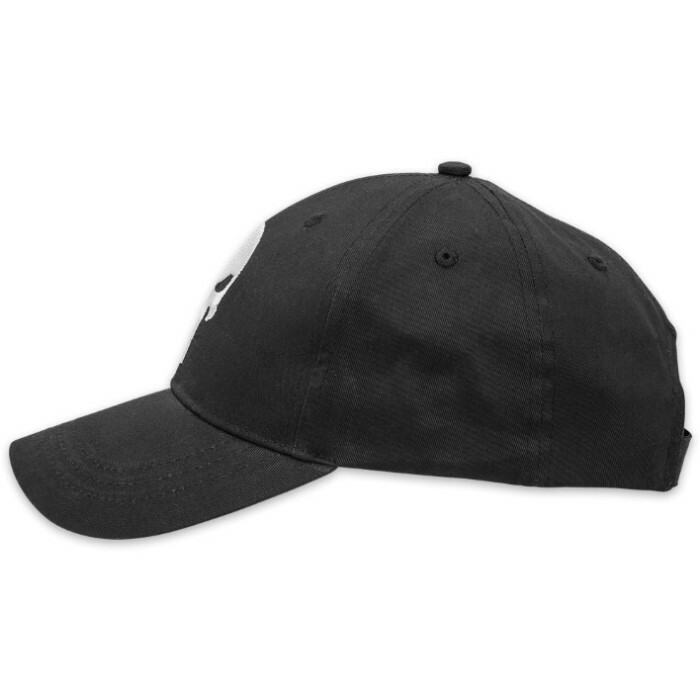 Made of tough-yet-lightweight cotton twill, this chic six-panel lid is breathable, cool and comfortable. It features an adjustable Velcro back strap for a snug fit, and one size fits most adults. Machine wash- and dryable, it's easy to clean and care for, and is built to handle years of vigorous wear. 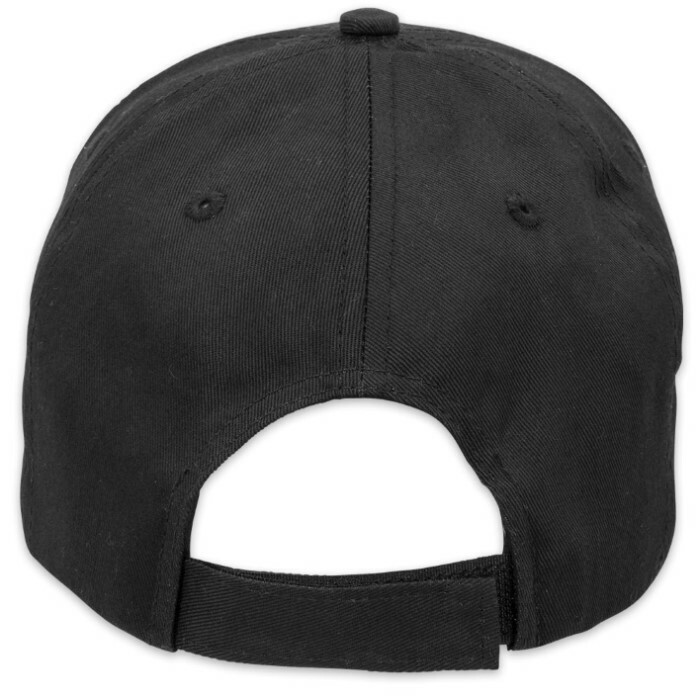 Crown yourself "Punisher" today with Black Legion's Classic Black Punisher Cap!